Forest Green came from behind to gain a second away win of the week as they claimed a 2-1 victory at Stevenage. 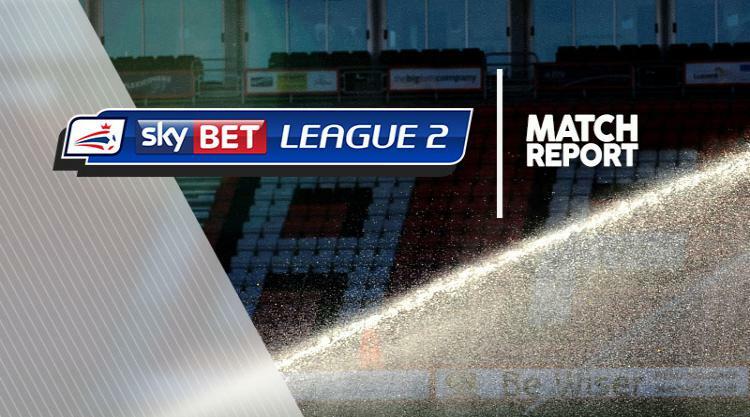 Second-half goals from Reece Brown and Christian Doidge earned Rovers three points after Matt Godden's third goal in two games had put Stevenage ahead. Keanu Marsh-Brown tested goalkeeper Joe Fryer from 30 yards early on, but Boro were controlling proceedings and Jonathan Smith should have put them ahead in the 19th minute against his former club but he headed Tom Pett's corner wide. It had been a frustrating half for the hosts, but two minutes before the break Godden beat the offside trap and ran onto Terence Vancooten's long ball to score. Stevenage maintained control after the interval, with a Danny Newton effort cleared off the line. However, Rovers hauled themselves level in the 61st minute as Brown equalised from a 20-yard free-kick. They grabbed a winner 12 minutes later when a Marsh-Brown cross from the right found Doidge at the back post and he headed home to seal the victory. Godden almost equalised in stoppage time but his shot was well saved by Bradley Collins.